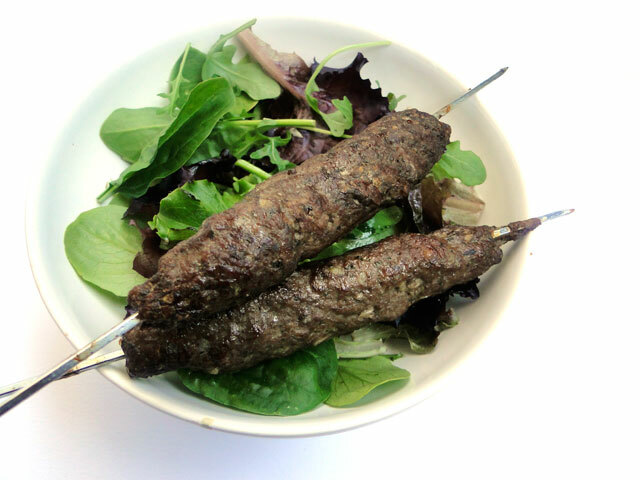 With the warm weather starting to set in, it’s time to start your outdoor grilling season and experience the taste of Lebanon cuisine with these kafta kebabs. I don't know if you had the chance to taste kafta before, but you should try it as it requires ingredients that are easy to assemble. 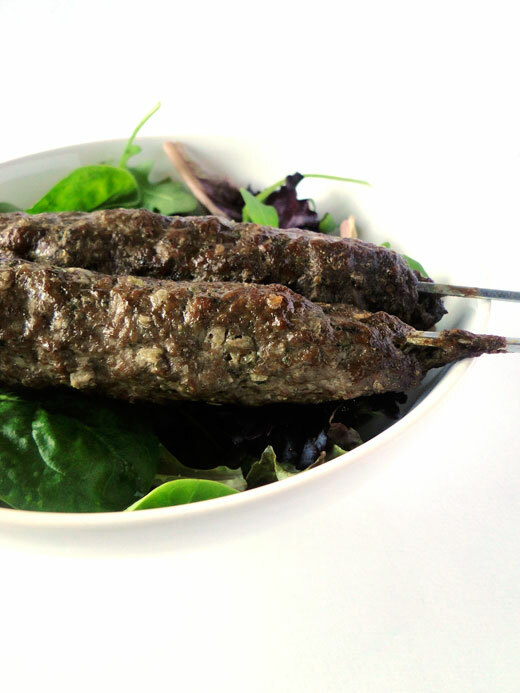 Kafta is a Middle Eastern dish made by grinding meat, (preferably lamb), and mixing it with with spices. Kafta is known by a variety of other names including kefta, kofta, kufta, and qofte, and there are hundreds of variations on this dish, it can be baked, grilled or served in a pita bread. Put the meat, onion, garlic, parsley, salt and spices in a food processor. Whizz until finely chopped and blended, then add the egg and whizz again until combined. Thread onto skewers. Brush with oil and cook over a gentle barbecue for about 15 minutes, turning regularly until cooked through (you can grill them in the oven too). Serve with pitta bread, tzatziki, hummus and salad. Dans un robot, mélangez la viande hachée, les oignons, le persil, l'ail, le sel, et les épices. Malaxez bien. Façonnez à la main des saucisses autour de pique à brochette. Faites griller au barbecue ou au grill du four, en les retournant régulièrement. Vous pouvez accompagner ces brochettes avec du pain pitta, du tzatziki , du houmous et de la salade. I have never eaten it...I don't eat lamb but I can try with with beef! Looks very tasty. Wish I some now. Have a great day! Lovely kebabs. Full of wonderful flavours! Chico, I make some rice, bring some wine, pita bread and call it dinner...delish! What a quick and easy recipe. I'm sure this will be delicious. We absolutely LOVE lamb! Thanks again! Great kebabs! I don't think I dare to make them at home....it seems not too easy to make. I made something similar for our first barbecue of the season a couple of weeks ago. But I didn't use skewers and your spices (allspice, cumin) must make these all the more flavorful. Angie, they're really easy to make. You just put the ingredients in the food processor, and it's all done!! This sounds wonderful with pita bread! 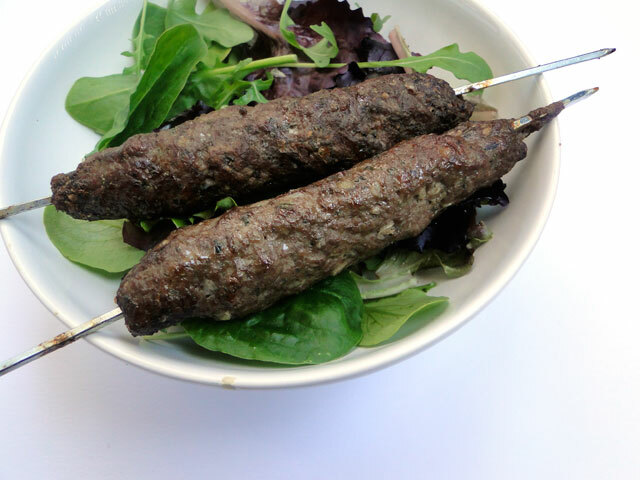 These are awesome kafta kebabs, what a perfect summer appetizer! ah la la tu me donnes faim! I'm a bit of a kafta fan myself. I love anything that has the word fast in it. These sound great. Your blog makes me hungry every time I come to read. Awesome and awesome! I'm definitely getting hungry now. Wonderful! A perfect dish for the summer! I love kafta, this looks absolutely perfect! I've never had this before. Thanks for sharing this. 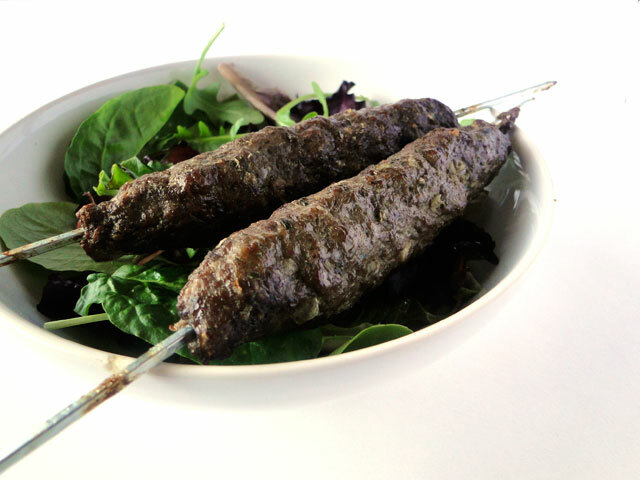 Je crois que je prefere ces brochettes la plutot que les boulettes, superbes! Excuse me while I wipe the drool off my chin. Yum! Mmm....I LOVE kafta! A drizzle of tahini, some fresh onion, tomato and parsley, and I could eat that every day. Yours looks just lovely!